A game that helped a troubled youth survive his early teenage years. I realize of course, that as of now it is July 10th, and I missed my intended mark of posting this article by two days. For those of you who weren’t following The Uncommon Geek at this time last year, I’ll give you the short, short version, not unlike the Spaceballs wedding. I made up this little, I guess you’d call it a holiday. Just a little quirk of the calendar that reminds me of two games, which shaped my early teenage years in a positive way. I was troubled, a struggling, misfit outcast who felt like he had no place in the world, and that there was no one else out there like me, going through similar struggles. 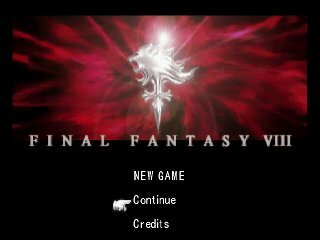 Final Fantasy VII was my first RPG ever, and it opened up a new world for me. Instead of having a game that was over within hours, and had little no character development and story, here was a type of game that was the complete opposite. I fell deep into the plot and characters of FFVII, and got to learn about people (fictional people, maybe, but as interesting, if not more so than folk I’ve found in real life) who had flaws, dreams, aspirations, ambitions, fears, and inner struggles of their own. Some were misfits like me, wandering around, trying to find a place in world that didn’t understand them, nor cared to try. But then, Final Fantasy VIII came along, and it rocked my world like no game ever has. I’ve remarked in other articles on this site about what my favorite game of all-time is, but when it comes down to it, with the dust settled, FFVIII is my favorite game ever, and likely always will be. I’ve never identified with a protagonist more, before or since. Squall’s just like me in so many ways it’s almost scary. But most importantly, I came away from playing the game with the realization that someone out there had to write for Squall and these other characters. That means someone else out there had to understand the introverted mind, and with that knowledge, I felt less alone. I also cultivated the hope that maybe, someday, I could have a group of people around me, like Squall’s friends, who saw me for me, didn’t want me to change, and saw my worth underneath my stoic demeanor. While I have seen people come and go from my life in the years since, I do have friends now who I wouldn’t trade for anyone, Mr. Uncommon Geek included. So, pardon me while I wax reminiscent about a tale of love, coming of age, time travel, magic, gunblades, dragons, and a spaceship called Ragnarok. I’ll be soaking in beautiful artwork that has stood the test of time for nearly two decades, and a soundtrack that astounds me to this day. I’ll come up for air again soon.